Linford Lodge of Research: Items for masonic researchers and other useful information. Greetings and welcome to the Linford Lodge of Research resource site. The Linford Lodge of Research has been providing opportunities for Freemasons in the Canberra area to make their daily advancement in the acquisition of masonic knowledge since 1964. In 1963 Sir Edwin Hicks and Robert [Bob] Linford approached the United Grand Lodge of New South Wales to establish a Lodge of Research in Canberra. Rejected, but not discouraged, they sought a Grand Master’s licence to establish a Lodge of Instruction under the name ‘The Canberra Lodge of Research and Instruction’. This was granted by Grand Master Beers, and it is under this licence that the Lodge operates today. 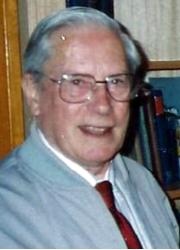 In 2011 Grand Lodge agreed to the change of name to ‘The Linford Lodge of Research’ to honour Bob Linford and his work. In the early years, besides the presentation of masonic research papers, the Lodge invited local lodges to participate in ceremonial to be guided and learn. This aspect was gradually discontinued and the Lodge has focussed on masonic research and discussion ever since, in line with the founders’ concept. The Lodge joined the Australian Masonic Research Council [AMRC] in 1993. Representatives have attended every AMRC [later the Australia and New Zealand Masonic Research Council – ANZMRC] biennial Conference since 1994. 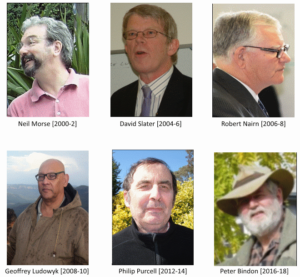 The Lodge has six members who have been Kellerman Lecturers for our Jurisdiction, the most prestigious award for Australasian Masonic researchers. Additionally the Lodge has hosted numerous AMRC/ANZMRC international touring lecturers, including Bros Batham, Cryer, McLeod, Beresiner, Cooper, Nicholl, Grosskopff, Daniel, Stewart, Jaccard and Belton. Many of them stayed in Canberra at the Nairn residence. We gratefully acknowledge the help of Bob and Jenny Nairn in this regard. A Tasmanian by birth, Bob arrived in Canberra during WWII to continue work in the Commonwealth Public Service. He went on to fill very senior roles in sensitive areas of government. His efforts were acknowledged by the award of an OBE. After his retirement he was appointed as Administrator of Cocos and Keeling Islands and continued to assist government. Bob maintained an active interest in masonic research and promoted the work of the Canberra Lodge of Research and Instruction wherever possible. He was particularly interested in the masonic history of the local region and, together with Ted Lightly’s earlier researches, contributed major writings on the topic. Taking a wider view, he contributed a major paper on Australian masonic independence to Ars Quatuor Coronatorum. It is anticipated that his ‘collected works’ will soon be available through this website. Bob was responsible for the establishment and operation of the Canberra Masonic Centre Library and Museum. He also mentored, supported and encouraged local masons to make discoveries and write papers. The Lodge is an appropriate result of his actions. Upon his death in 2007, he was described by Kent Henderson [founder of AMRC/ANZMRC] as ‘the doyen of masonic research in the jurisdiction’. The Lodge is a resource for enquiring masons. This site will gradually expand as past papers and additional material becomes available. Email Linford Lodge of Research about this site. Email Linford Lodge of Research secretary.